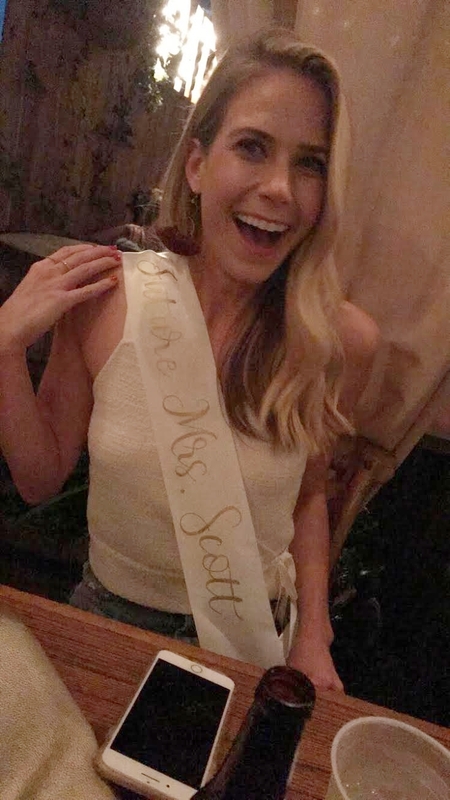 For those of you that follow me on Instagram you saw that my original planned bachelorette party was cancelled due to Hurricane Irma but we didn’t let the storm damper our parade for too long! We re-packed our bags and met in Charleston, South Carolina. 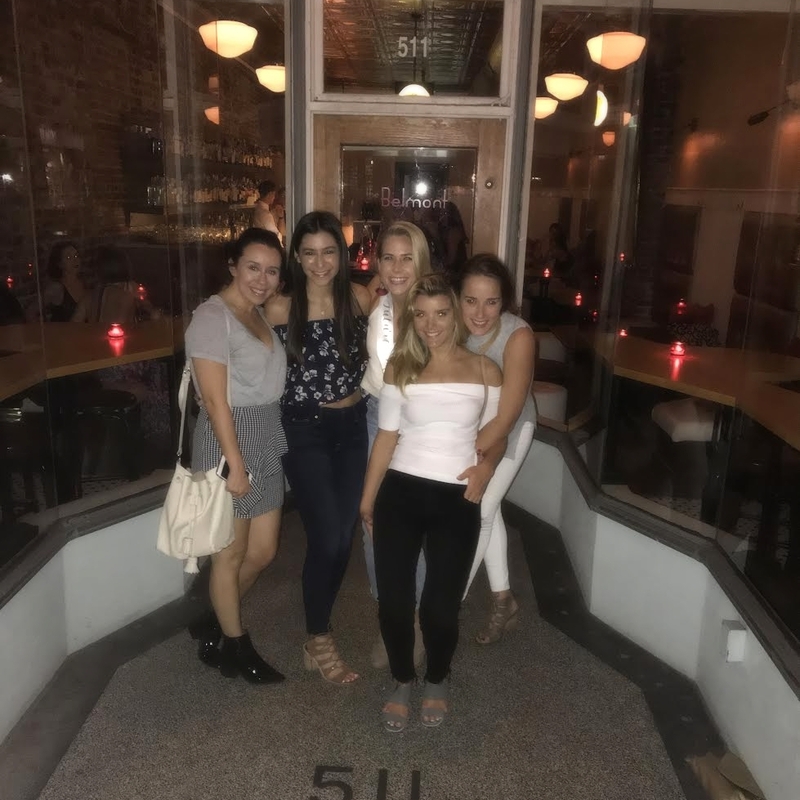 Before we dive into the ins and outs of a successful bachelorette party add Charleston to your list of places to visit. Not only is the city overflowing with charm and kind people but the restaurants and shopping are on point. My bride tribe was the ultimate and jumped through hoops to ensure I had the best weekend possible. 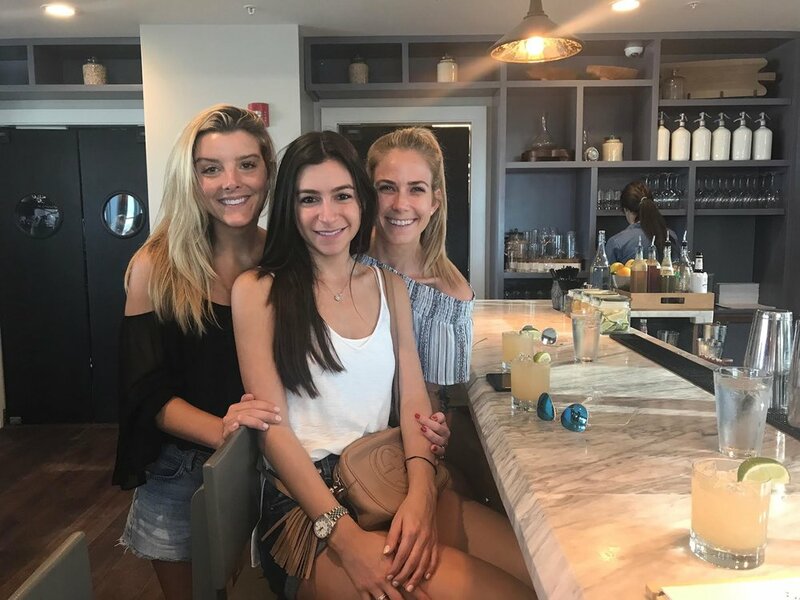 After recovering from a weekend of laughs, dranks and conversations that we will take to our graves – I thought it would be helpful to share some tips that made our trip a massive success. 4 Tips For Planning The Best Bachelorette Party Like, Ever. 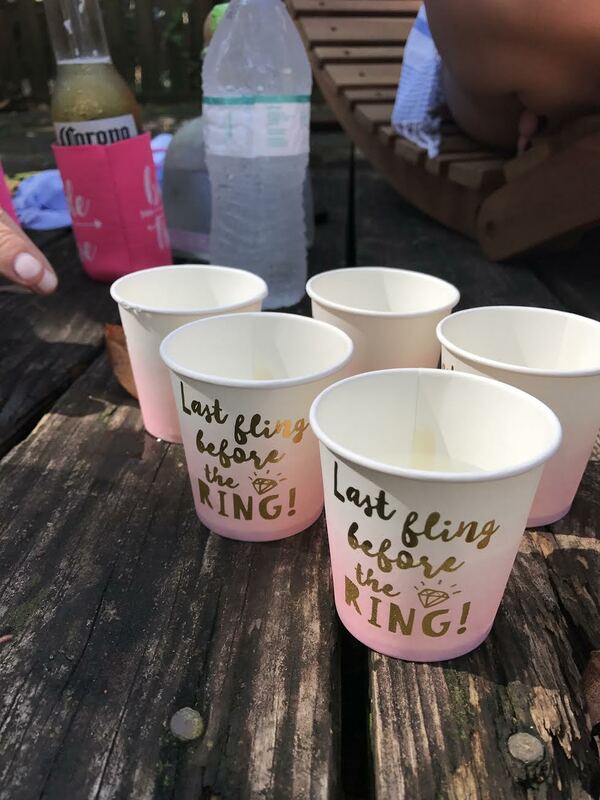 Paying attention to the bride’s preference is key for making the bachelorette party a 10/10. What’s her vibe? Would she rather take shots before noon or indulge in a spa day? Put yourself in her shoes and think about how she would envision her party. Sprinkle her preferences throughout all entities: games, party location, restaurant menus, etc. Adding special touches is always a good idea! Is the party beach themed? Order the bride tribe customized bathing suits because HOW CUTE!! The girls and I ordered suits via Shop Private Party and it added an extra fun element to our pool day! If you are in the preparation stage of a bachelorette party do not go without checking out Stag and Hen. 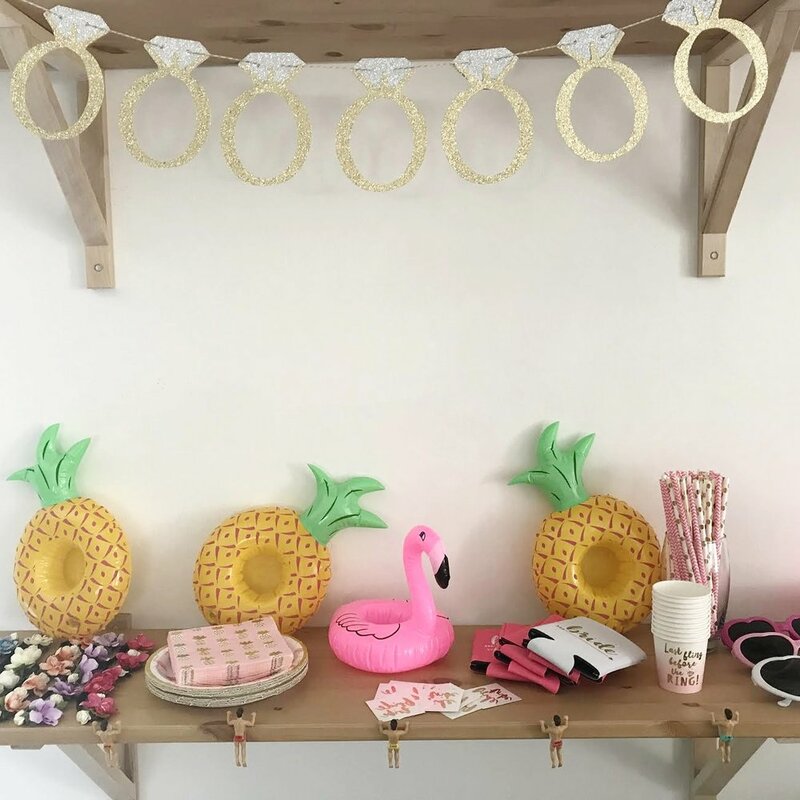 Their decorations and accessories are the definition of bachelorette party essentials! 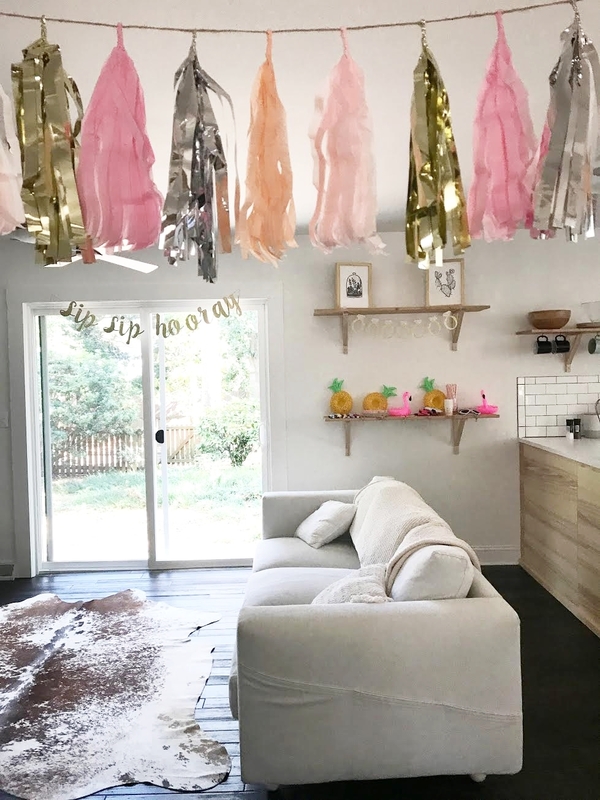 We decorated our Air B&B with adorable banners and other themed décor! Stag and Hen is your one stop shop that specializes in party decorations and favors that the bride-to-be will love! Here’s the reality of the situation – some of us * cough cough ME * thrive off of having a detailed itinerary while others live off of a fly by the seam of my pants type of vibe. Whatever side of the spectrum the bride to be falls on, having at least a rough layout of what your plans will consist of is the way to go. I would highly suggest making reservations especially if you will be a part of a large group – no one enjoys waiting to be seated. By having a itinerary to refer to will ensure that the group will have more fun enjoying doing things as opposed to sitting around going back and forth with the “what do you want to do?” conversation. Remember that when dealing with a group of girls, someone will be running late due to their hair or wardrobe so always include a time buffer. Before drinks begin to flow make sure that everyone involved is on the same page regarding social media posts. 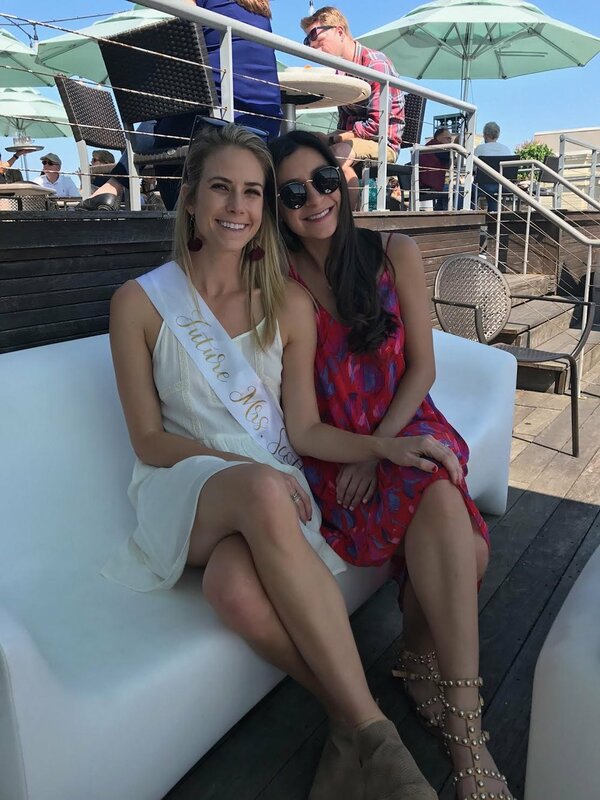 Even though bachelorette parties go hand in hand with a carefree vibe, the rest of the world is still operating as normal and it’s important to remember that whatever is publically posted could possibly infringe on someone’s comfort level or career so discussing the boundaries beforehand will keep from having to dive into damage control. There would be no bachelorette party if there wasn’t a fiancé so make sure to incorporate him, in some capacity! My bridal party took the route of playing a game that Robby was involved with and it couldn’t have been more fun! We played while on a sunset cruise which was the ultimate setting. On a side note, when visiting Charleston taking a cruise with Charleston Yacht Charters is a MUST. Ya’ll, not even joking – hands down one of the best parts of the trip! Ok, back to business. Let’s break down this game a bit more … the bridesmaids come up with a group of questions for the fiancé to answer. 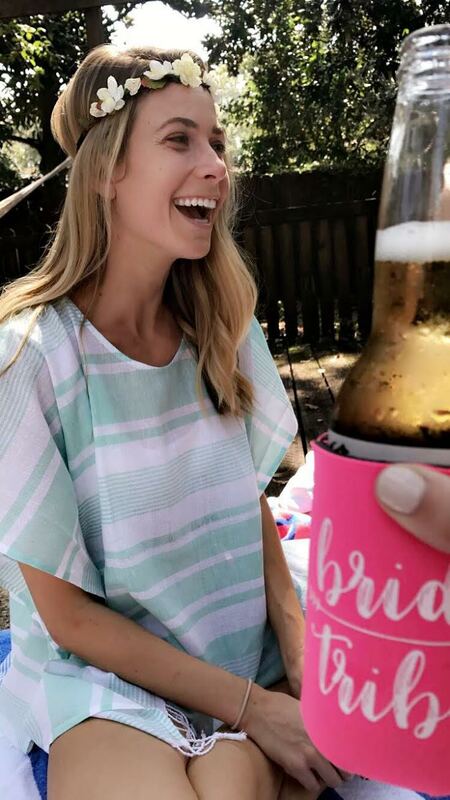 If the bride- to –be gets the answer wrong, she drinks. If she gets the questions right, bottoms up to everyone else!